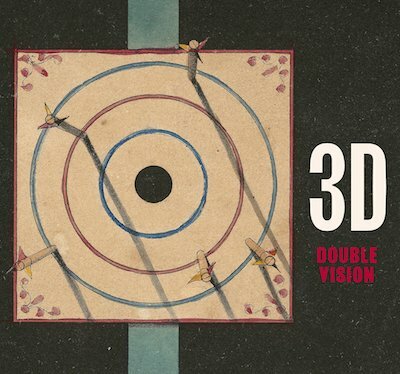 3D: Double Vision, edited by Britt Salvesen, is the catalogue to an exhibition of 3D art currently on show in Los Angeles, though it's also an in-depth (no pun intended) history of stereoscopic imagery. The book includes a chapter on stereographs by Errki Huhtamo (author of Illusions in Motion) and a detailed chronology of stereographs, holograms, and lenticular images by Zach Rottman. The stereoscope viewer and stereograph cards were Victorian inventions, which later influenced devices such as the View-Master. The first feature-length 3D film, The Power of Love, was released in 1922, though 3D cinema's heyday was in the early 1950s, with films such as Bwana Devil and Creature from the Black Lagoon. Look magazine published a lenticular image ("the first three-dimensional photograph ever produced in mass quantities by any publication anywhere") in its 25th February 1964 issue. The first printed hologram appeared in Science Year 1967: The World Book Science Annual. There have been previous books on 3D cinema (3-D Movies by R.M. Hayes) and holographic images (Holograms by Sean F. Johnston), though Salvesen's fascinating catalogue is the first comprehensive cultural history of 3D. The exhibition plates are reproduced in 3D, and the book comes with two pairs of glasses to view stereograph and anaglyph images.